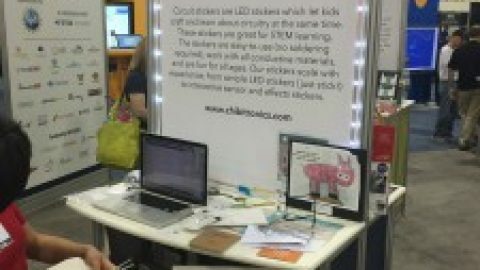 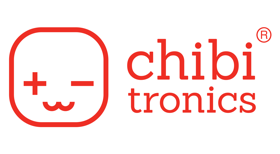 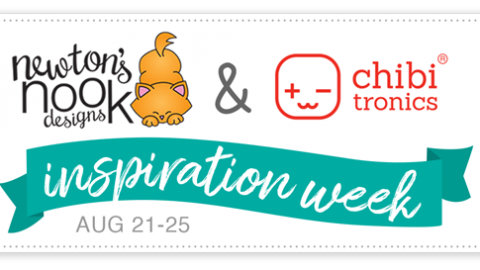 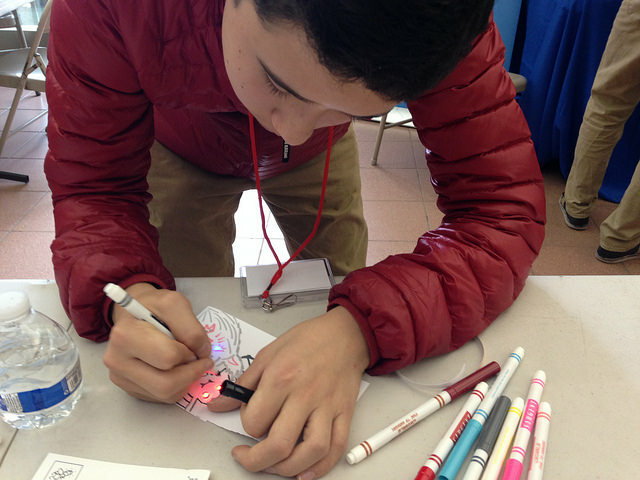 This month we got to share Chibitronics as part of the TEDxYOUTH event, hosted by TEDxBeaconStreet. 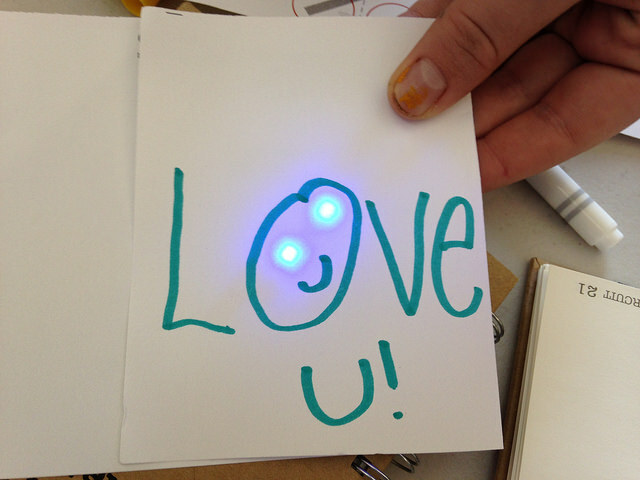 It was a blast to watch everyone’s faces light up as the created their first circuits and then added their own personal stories with drawings! 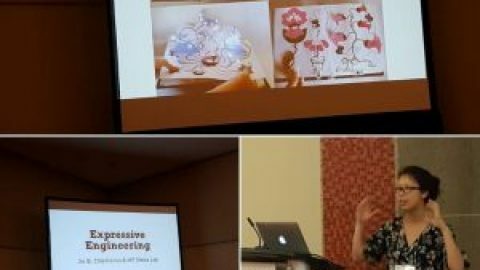 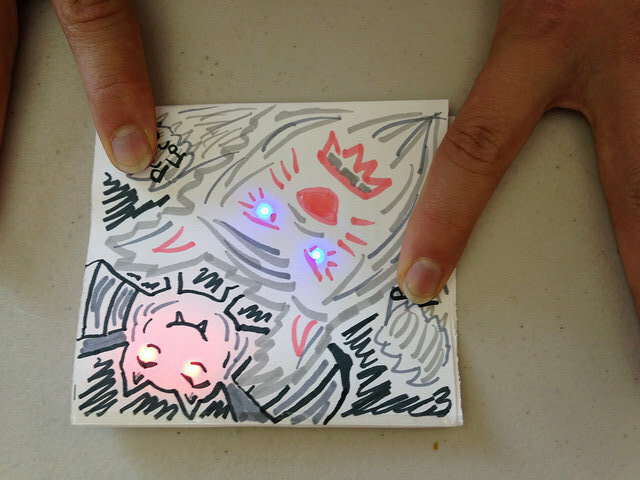 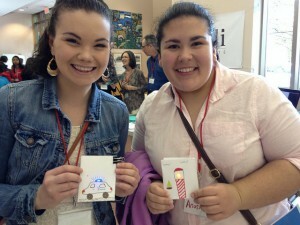 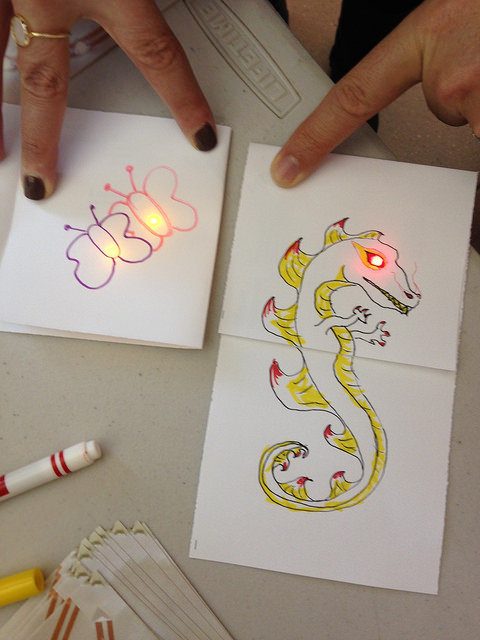 We also loved seeing everyone experiment with both their drawings and their circuitry. 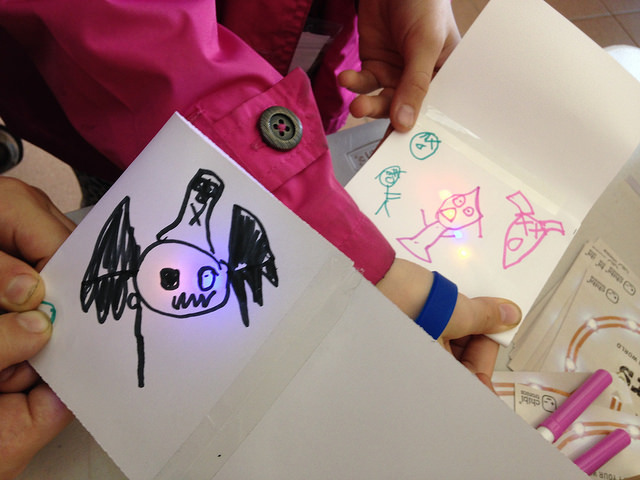 One boy figured out how to light up multiple LED lights in parallel to create a light-up scene with spooky glowing eyes. 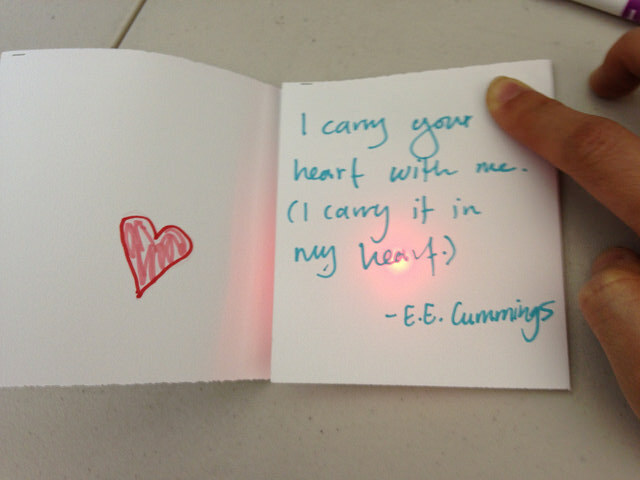 And when others got curious about his card, he taught them how to add multiple lights to their creations too. 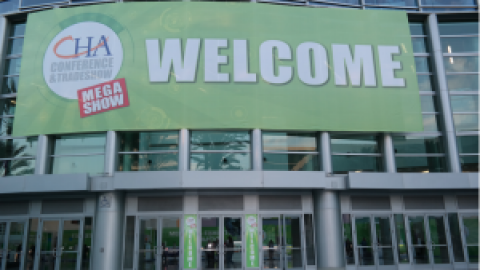 Hooray for contagious ideas! 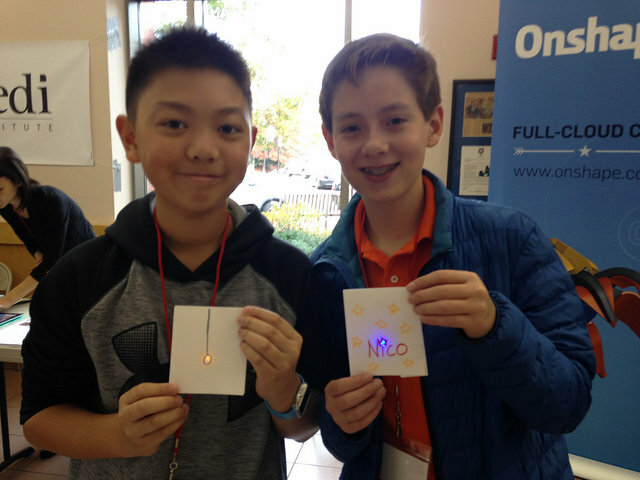 We also had an explorer from a neighboring exhibit the Clay Center Amateur Radio Club at the Clay Center Observatory come by with an asteroid. 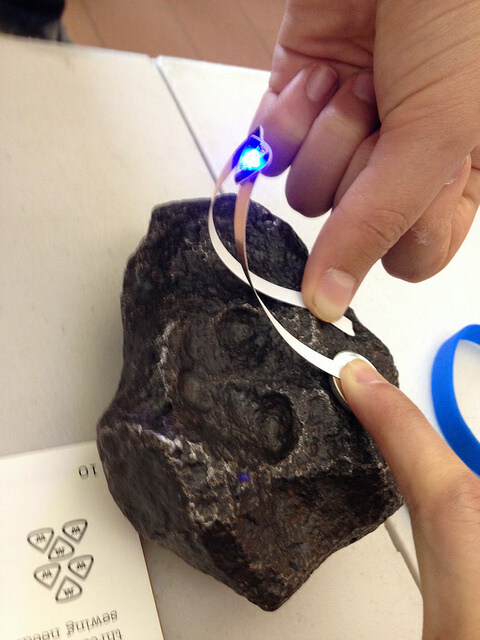 It turns out the asteroid was made of mostly iron, which is a conductive metal, so we used it to create a circuit! 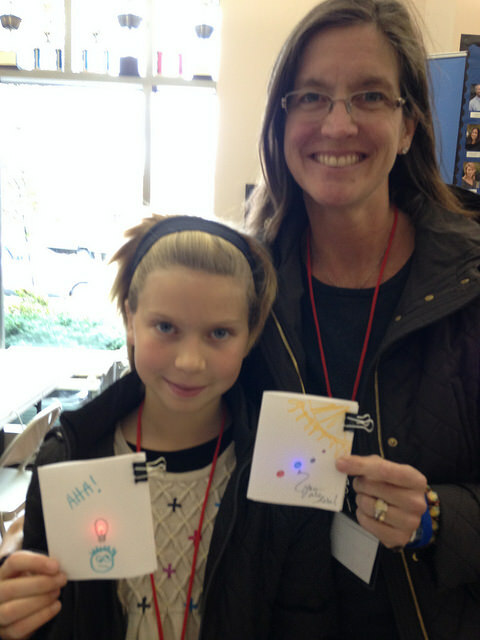 What a great way to spend an afternoon! 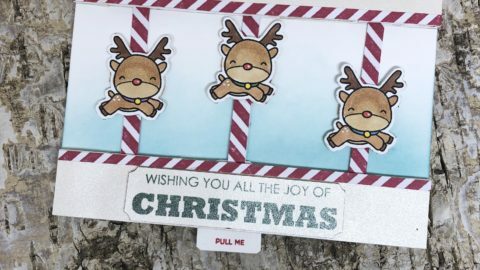 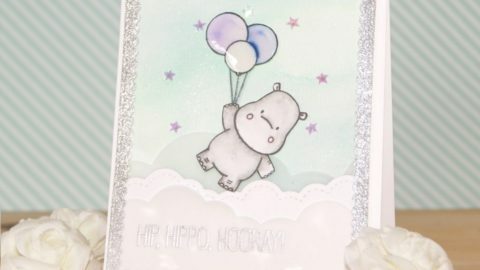 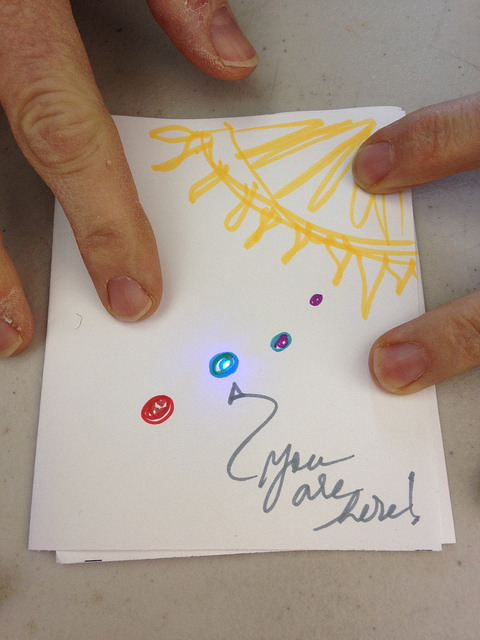 Want to join in the fun and make your own light-up card? 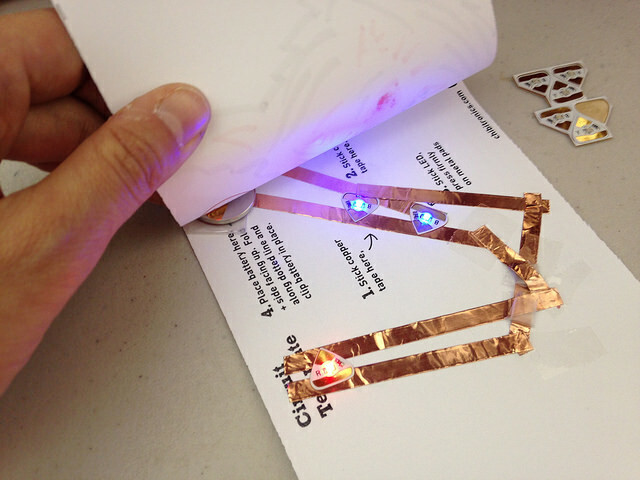 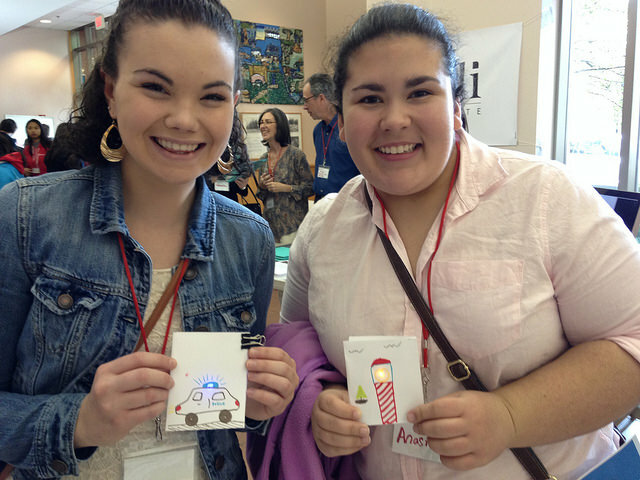 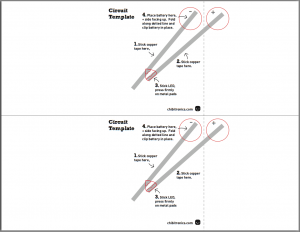 Here’s the Bright Idea Circuit Template from this event. 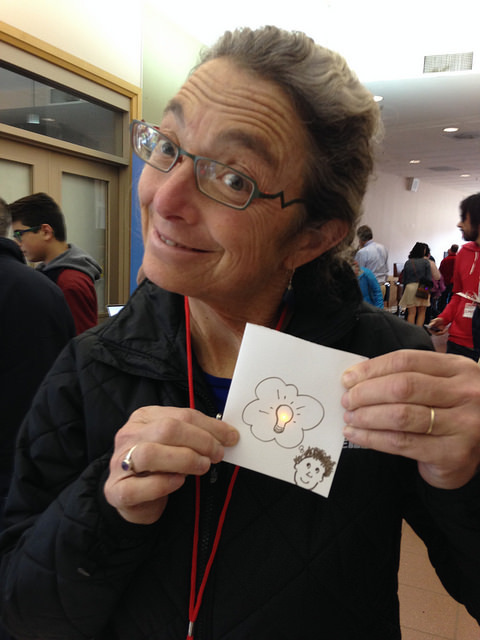 What will your bright idea be? 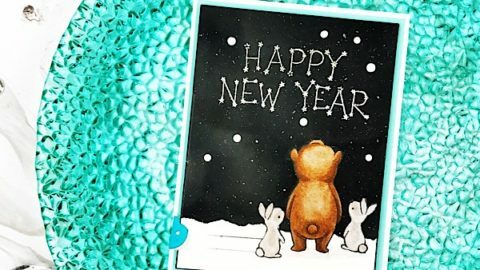 Happy making!